Cho’s investigation of other church fathers prior to Augustine, moreover, further reveals that these doctrines were not theological novum originating with the bishop, but positions which can be found in authors as early as Justin Martyr and Irenaeus, both of whom are often incorrectly identified as annihilationists by modern proponents of the doctrine. While Augustine develops the doctrines of the immortality of the soul and ECT, he by no means has injected it into the Christian faith from Platonism. 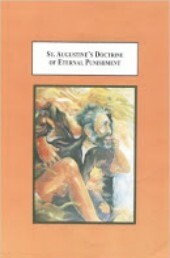 St. Augustine’s Doctrine of Eternal Punishment is a helpful text, clearly setting forth the historical context in which Augustine developed the doctrines of hell and the immortality of the soul. Additionally, Augustine’s valuable contributions to the doctrine of ECT are clearly set forth by Cho, providing pastors with theological and pragmatic insight into the usefulness of the doctrine of ECT. Contemporary debates about the doctrine of hell, with lateral emphases on the doctrine of the immortality of the soul and the resurrection of the wicked, are not divorced from the history of the church. What has been dealt with before by the brightest theological minds, given to the church by the Holy Spirit, is now rising to prominence again. Cho’s text shows how God has preserved the writings of past teachers who thought deeply, Scripturally, and thoroughly about these issues. In their writing, we do not have an infallible source of knowledge, but the voices of godly pastors who had only the best interests of Christ’s sheep in their minds. The book is brief, but dense with content. In addition to his research into Augustine’s doctrines of the immortality of the soul and ECT, Cho includes select writings from Justin Marytr, Irenaeus, Clement, and Gregory of Nyssa. The reader can examine the original texts and compare the claims of the annihilationists with Cho’s reading in light of them. Cho writes in a sophisticated and yet accessible style that academics and non-technical theologians, apologists, and church members can appreciate.